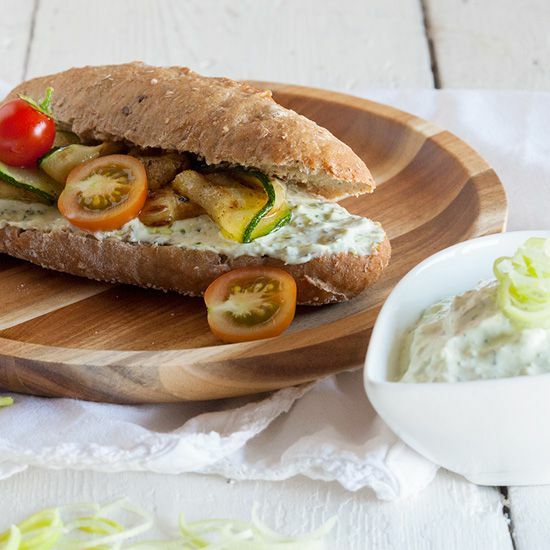 Witch's cheese is a typical Dutch cheese spread, made from cream cheese, garlic and leek. In Holland it's called Heksenkaas. It's ready in about 10 minutes. ‘Witch’s cheese’ is a typical Dutch cheese dip, better known as Zuivelhoeve Heks’nkaas. It’s basically a spread made from cream cheese, garlic and leek. Here in Holland it’s quite popular lately, but it’s also quite expensive. That’s why we wanted to re-create this lovely cheese dip and we think we succeeded very well doing so. 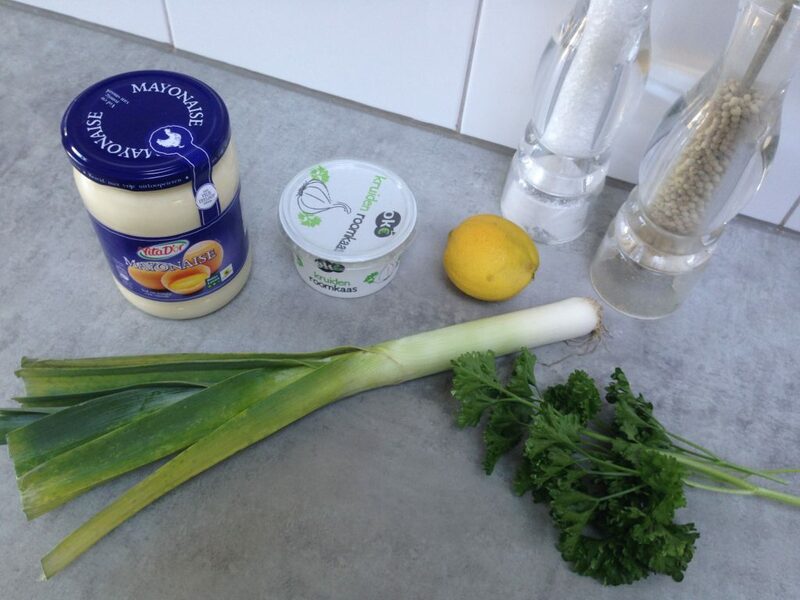 RINSE the leek, remove the outer leaves of the leek and roughly chop it. Also rinse the parsley and make sure you got rid of the excess water using a salad spinner. ADD the chopped leek and parsley into the blender. BLEND it shortly, you don’t want it to become too smooth. 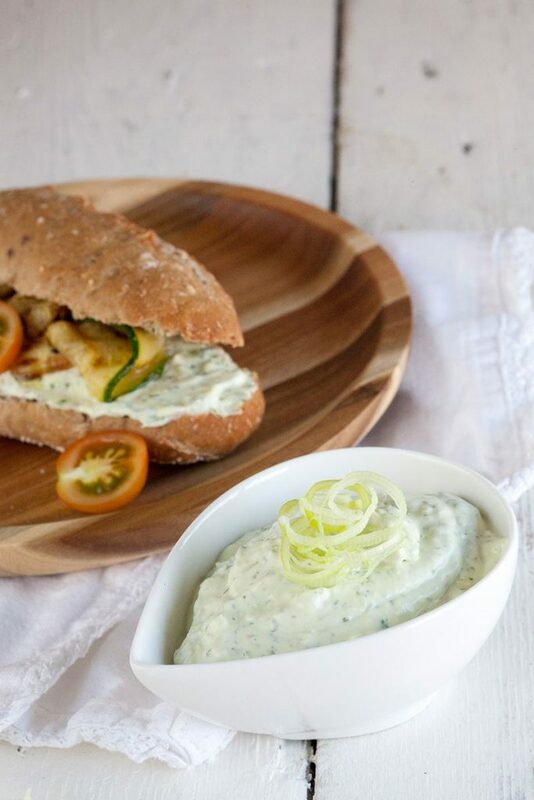 COMBINE the leek and parsley puree with the herb cream cheese and mayonnaise and season with pepper, salt and a squeeze of lemon juice. That’s it, now you’ve created a cheap and delicious cheese dip. You can serve this dip with some toast on parties, or dip some raw veggies in it, just like you would do with hummus. 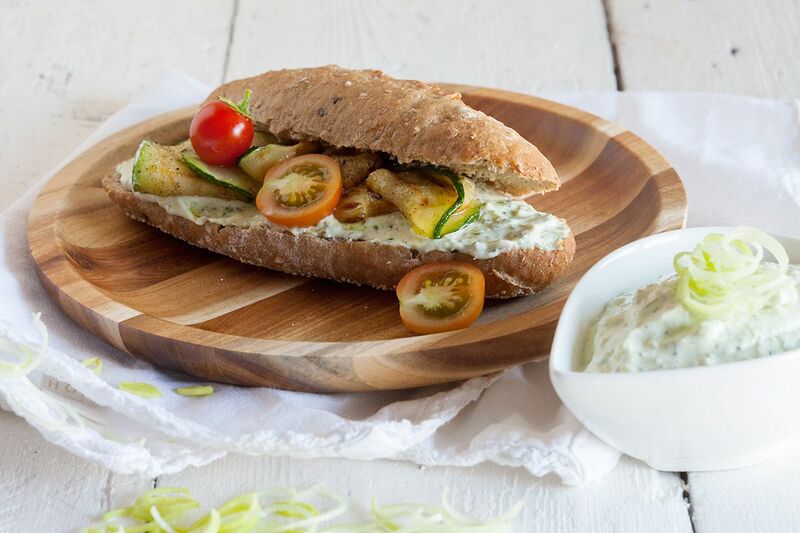 We grilled some zucchini slices to eat it as a sandwich, super delicious! Sounds like a yummy dip in spite of the spooky name. It turned out so bitter that I cannot eat it. Maybe even worse when I have tried arugula pesto. Adding 2 tsp of sugar did not help. What can I do? Hi Christine, so sorry to hear! There’s no bitter ingredient in this heksenkaas, so I have no idea what you exactly mean. You also don’t like arugula pesto? Maybe you just simply don’t like that kind of dishes, because arugula pesto doesn’t have any bitter ingredients as well..
Maybe the lemon was bitter. Usually lemons aren’t bitter, but it can be if you use the whites of the peel. In this recipe you only use the juice, did you ever had bitter lemon juice Robert? I never had to be honest :) But I do know some people (like my husband) have a different taste palette, they taste things as bitter that really aren’t. It’s described as containing garlic. Somehow, I could not find reference to garlic in the recipe or ingredients list. Not every herbed cream cheese contains garlic. In fact, most don’t. Probably should revise to explicitly include garlic.